Free PDF to HTML Converter Online - No Email Required! STEP 1: Drag and drop or click to upload a PDF to convert to HTML. The conversion process starts automatically as soon as the PDF is uploaded. STEP 2: When it’s converted, the Preview button will become active, so click on it to see the HTML version of your PDF. That’s all it takes to create a URL to show and share any PDF document in HTML. 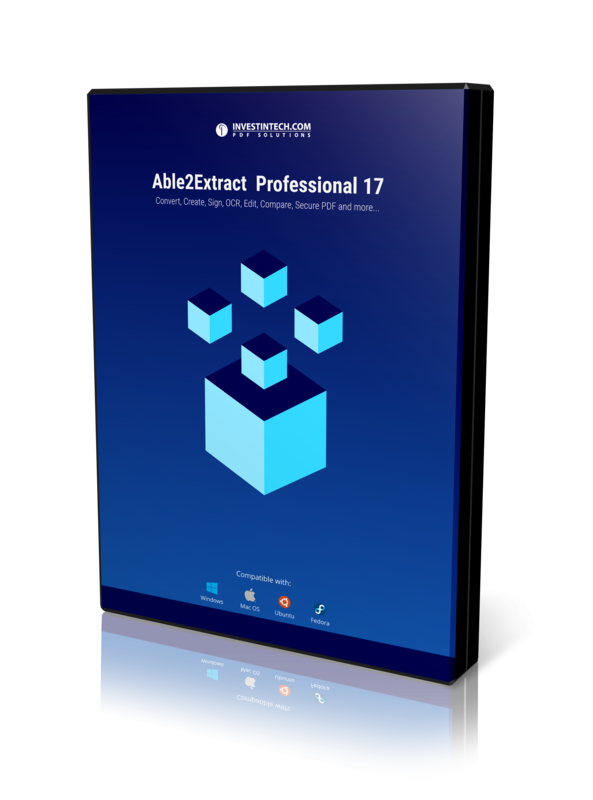 Able2Extract Professional 14 is a PDF conversion and editing software, downloaded by millions worldwide. It will enable you to convert, create, edit, sign PDFs and perform any other PDF-related task, right on your computer. WILL YOU COLLECT ANY INFORMATION ABOUT ME, SUCH AS MY EMAIL? No. The tool is completely anonymous. The conversion process from .pdf to .html should happen almost immediately. However, the conversion process may vary depending upon such factors as: (1) the size of the PDF and (2) the number of other conversions in queue. For an average size file, the conversion should be completed in just a few minutes. HOW CAN I HAVE THE FILE DELETED? To delete the output file, please contact us at doc@investintech.com and provide us with the URL address at which the file is located. It will be promptly deleted. Looking to convert PDF to other file formats? We have a variety of other free online PDF tools such as PDF to PowerPoint or scanned PDF to Word. Feel free to check out the complete list of free online PDF tools here. We are Investintech.com Inc., the developer and publisher of our own proprietary PDF technology which is used in desktop, mobile, server and developer products worldwide. Millions in over 150 countries are using our flagship PDF solution Able2Extract Professional to maximize their document productivity. © 2000 - 2019 Investintech.com Inc. All Rights Reserved.